This page presents our range of products that deal specifically with the therapeutic effects of temperature. Both heat and cooling have different positive effects on the customer’s wellbeing. In Ancient Rome and other ancient civilisations (The Turks, Mayans and Aztecs for example) baths were used on a daily basis as a form of social recreation and engendered a sign of someone’s culture and standing. The Finnish sauna design has endured and become the most instantly recognisable sauna model. The Finish themselves view the sauna as a life philosophy and the sauna has become part of the way we approach supreme relaxation and leisure time in the modern world. The AstralPool Finnish sauna is made from the highest quality materials, using equipment, which incorporates the very latest technology. 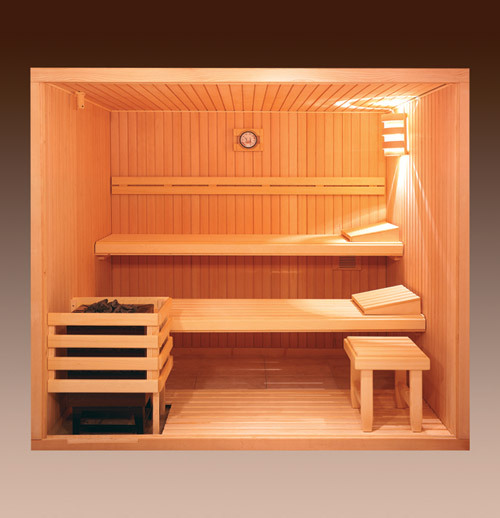 As with all saunas the AstralPool Finnish sauna is essentially a wooden room with insulating material inside, covered with a tongue and groove structure. Electronic equipment generates heat that gradually causes the temperature inside the room to rise. 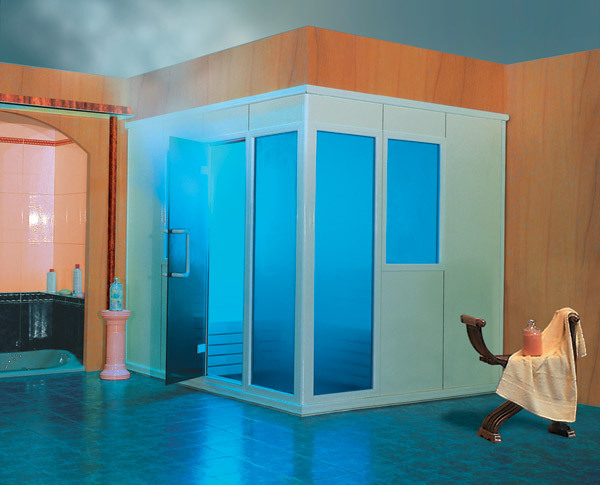 Designed and built to the strictest standards using materials, steam generation and control equipment and accessories of the highest quality, our steam baths are both highly reliable and functional; providing the maximum therapeutic benefits that these baths are known for. They are based on the principles of a sealed room where people can sit or lie down. 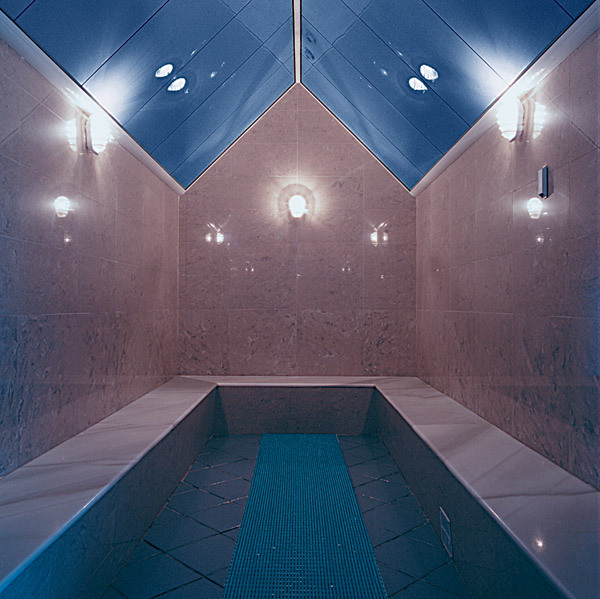 Varying materials are used in the construction of the steam bath cabins but their common property is their resistance to high temperatures and oxidisation. Electrical equipment pumps steam into the cabin and also controls and regulates the internal temperature. In ancient Rome baths were heated by a series of under floor channels and ducts through which hot water circulated. The water was heated by coal or log furnaces until it reached the right temperature to create the perfect humidity levels. The temperature levels set in Roman baths (Between 45-55º C and humidity levels of 65-70%.) set them apart from other types thermal baths. 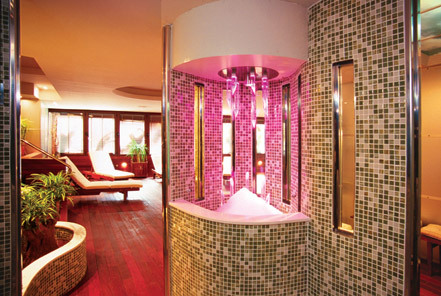 This unique relationship between temperatures of humidity levels means the experience of a Roman bath is very much a fusion of the modern steam room and modern sauna experience. Optional: Cromotherapy, custom made, Styriofoam.